Although it has been a few months since I traveled with Kate, I never finished my blog post about our last trip in September. So here it is! 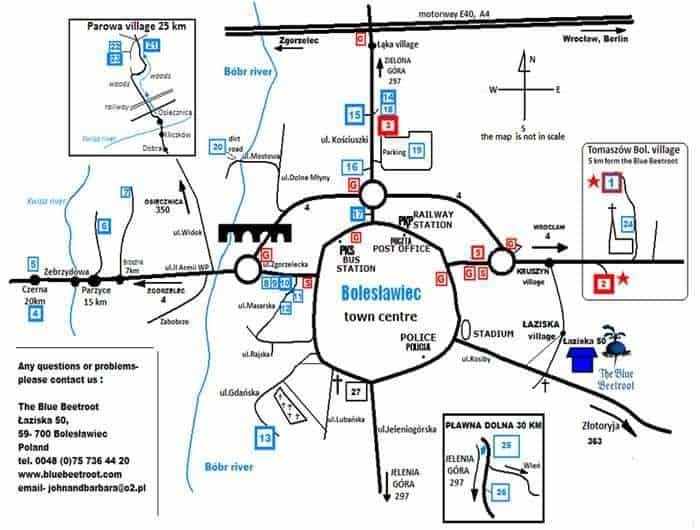 With our four days in Prague over, we reluctantly got on the road early and headed north towards Boleslawiec, Poland, the mecca for Polish pottery shopping! We had a factory tour scheduled and we didn’t want to be late. The process for making the pottery really is interesting. First, they press the clay into a mold. After the piece has dried they add additional parts – like mug handles – and smooth the edges with a wet sponge. The first firing in the kiln is next. After that the painter uses a small cut sponge to sponge on the paint, each color having a different sponge. They use a paint brush to fill in any gaps. The piece is sent to its final firing after that layer dries and then it is ready to hit the market place. Much of the pottery is shipped to the United States and japan but there is a lot available locally, with so many different patterns! So, of course, after our tour we did some shopping! We discovered a list and map available on line about the different shops, so although some of the hours have changed, it is a pretty good list for Polish pottery shopping. Almost all the places take credit card and here’s the link to the stores, in case you’d like to know! The map below is not to scale but did help us get from place to place! After shopping, we ate an early dinner at The Blue Beetroot, which was delicious – real Polish perogies! And then we went to our Polish palace to spend the night. On our last full day abroad, we packed up our teeny tiny car and began the trek home, via Rothenberg ob der Tauber! After traveling six hours we made it to the city, and, bless Google maps, right into the middle of downtown. But as we drove into the town center, dodging pedestrians and tables, I pointed the famous clock to Kate – and hoped we wouldn’t have blue lights following us! (Our route through the square!) Admittedly, I had been following another car, but it just didn’t seem right to be right in the middle of the town square! Fortunately, we were able to eventually find parking and explore! before we were joined by Jen, a friend who had recently moved to Germany and drove 2.5 hours to meet up with us. What a sweet and precious reunion! We quickly checked into our hotel – Am Weissen Turm, a quaint 800-year-old building located inside the city walls – before getting some dinner. And after dinner we all enjoyed the night watchman tour of Rothenberg – a tour given at dark by the “medieval night watchman” who walks you around the city giving insight to the old city. This was fabulous and so worth it! All too soon morning came and in the darkness, we hugged goodbye with Kate and I returning to Frankfurt. This time, our second time maneuvering a rental car around the airport, we didn’t get lost and were able to quickly fill the tank with gas and turn in the car. We made it – over a thousand miles driven across Europe! What a trip! And BONUS – we got to fly back First Class!! « The House on Foster Hill (a novel) & A Giveaway!